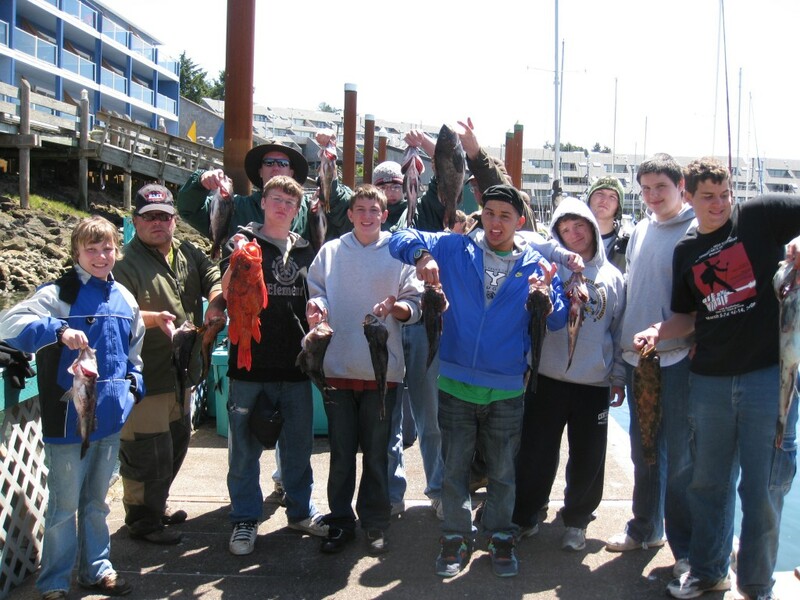 Yaquina Bay Charters » Charter Trips, Latest News, Photos, Yaquina Bay Charters » Boy Scouts for Bottom fishing! Boy Scouts for Bottom fishing! July 17th, 2009 | Comments Off on Boy Scouts for Bottom fishing! The guys said they had a really good time bottom fishing on the Crackerjack yesterday! They also made it through the whole trip with only one or two of them feeling sick, so it was a good day. Check out the bright orange vermillion rockfish they got on the left, very cool! Thanks for coming out guys! We’re looking forward to Salmon trips coming in today and Salmon and Tuna this weekend. Have a great day everyone!